A STEM worshop was held for students who won prizes at the Supernova '17 at Al Qamar Academy. The purpose of the workshop was to enthuse these students towards STEM fields. The sessions used the approach followed at Al Qamar Academy for teaching. 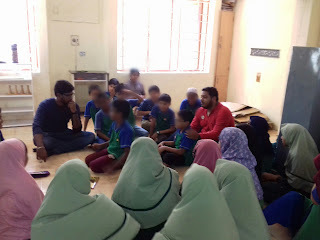 Hauroon led an inquiry based science workshop for the Juniors where students learned the process of science. They tested the swing of a pendulum under different conditions to understand the effect of variables in a science experiment. They also checked the co-relation between the volume of a cup floating in water and the capacity to carry weight. Hauroon also led the Math sessions for the Juniors where the participants worked on tough math puzzles. The initial ones were hard, but they soon got the hang of it. The Sub-Juniors had a morning session on the process of digestion. 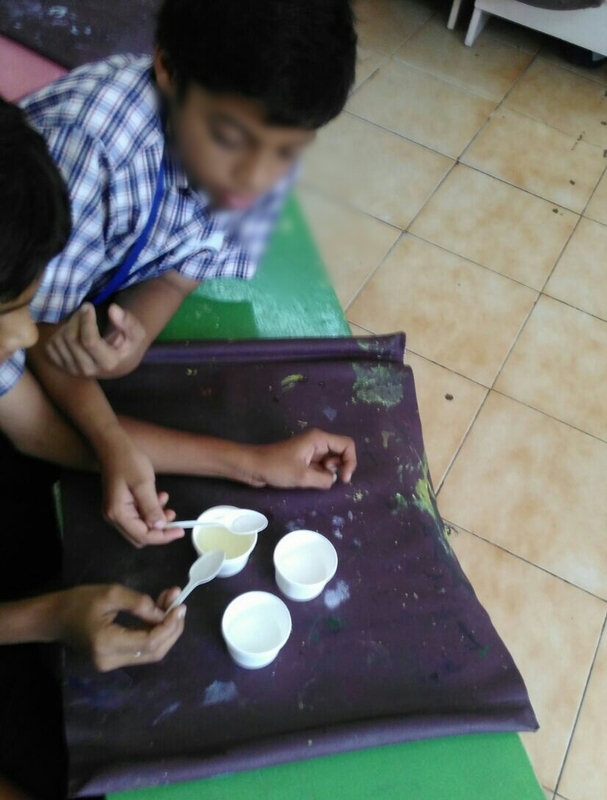 The participants chewed roti, conducted starch tests on various food stuff. They checked potato juice for starch initially and then again after the juice had been swished around in their mouths for 5 minutes and well mixed with saliva. The participants squashed banana through a plastic bag foodpipe, mangled and mushed it in a plastic bag stomach and then poured the juices into intestines (socks) and watched the juice come streamig out. "Disgusting" said one participant happily! The Sub Junior math sessions had the kids playing a Factor game, and solving tough problems on sequences and numerical puzzles. The most enjoyable session was the "Egg Drop" engineering challenge. Teams had to construct something which would carry an egg safely down from the roof. Most teams made a parachute - but their designs differed when it came to the egg carrier. Some made baskets with funnels, other made a solid cage with sponge. The girls (GO GIRLS!!!) attached 3 balloons to the bottom of their carrier to cushion the impact. MashaAllah, all designs were fabulous - none of the eggs broke.